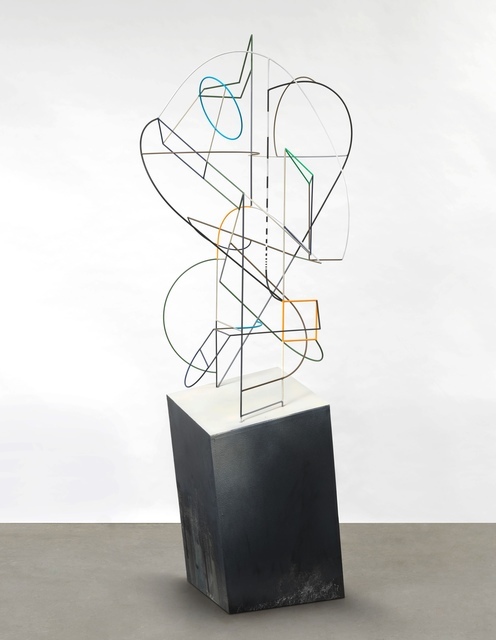 Marianne Boesky Gallery is pleased to present an exhibition of new works by Berlin-based artist Matthias Bitzer at Boesky West in Aspen, Colorado. In his multi-disciplinary work, Bitzer weaves together artistic and literary references to create an otherworldly realm, where the real and imagined meld and a sense of space and time are dislocated. With the upcoming exhibition, Bitzer’s engagement with the visual and written arts breaks new ground, capturing the conceptual explorations within his own storytelling and dovetailing with a novel that he is currently developing. Indeed, the exhibition title, 3, speaks to the triad of Bitzer’s two protagonists and the narrative possibilities that exist between them. The show will be on view from December 19, 2018 through February 3, 2019 and marks the artist’s third solo presentation with the gallery. 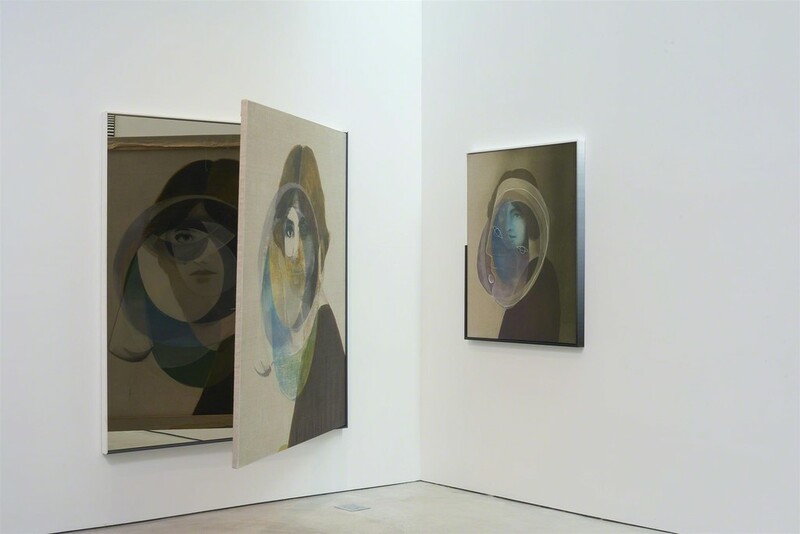 Bitzer’s practice is known for its interplay between seemingly disparate subjects, sources, and contexts, culled from historical and literary images and texts, fictional imaginings, and his dreams and real-life experiences. 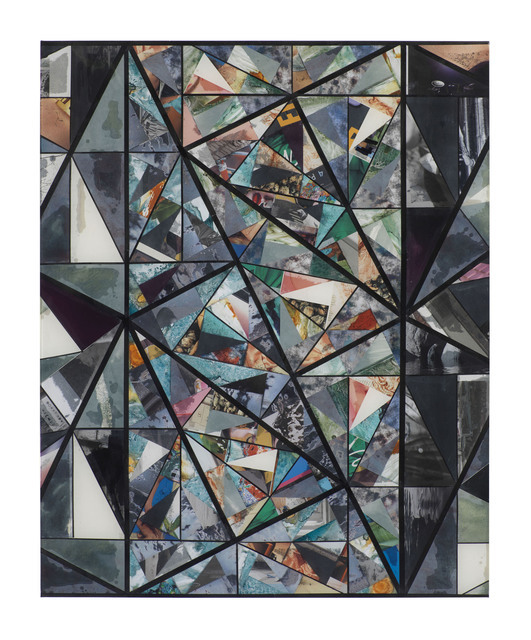 In his mixed-media collages, paintings, sculptures, and multi-part installations, these fragments come together to reveal unseen narratives and surprising connections. Portraits of unidentified characters have emerged throughout Bitzer’s oeuvre—in some instances inspired by historical figures such as Berthold Brecht, Lotte Lenya, and Emily Dickinson, and in others from his own life. Within Bitzer’s work, however, they become dislodged from their origins and are presented anew as kinds of apparitions or memories. These individuals find new life in Bitzer’s evolving novel, written as a series of vignettes. The book brings these formerly disparate characters into contact with each other, establishing a new layer of connection across the artist’s years-long practice. At the same time, the text eludes any clear progression, further questioning the manners in which identity, history, and our sense of reality are both invented and constructed. In one episode, the character Molly Monday enters a bar, where Robert E. Elrod is sipping a drink. He turns to see her and is immediately transfixed. 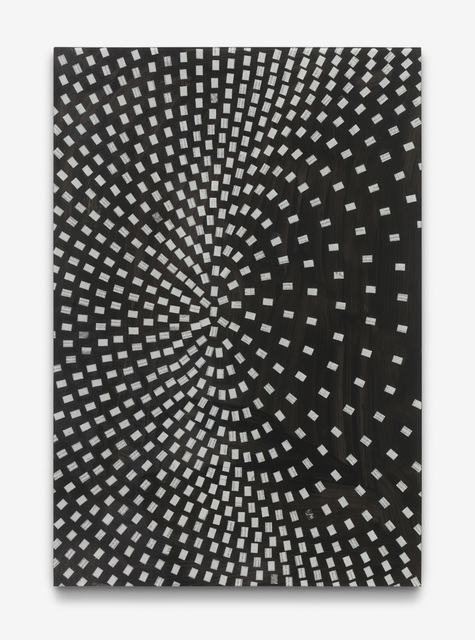 This indescribable connection between them provides Bitzer with a platform through which to consider notions of magnetism, the open-ended nature of experience, and our psychic and emotional response to different kinds of stimuli. This same episode is captured in Robert, Molly, and Indispensable Third (2018), which Bitzer created for the exhibition. 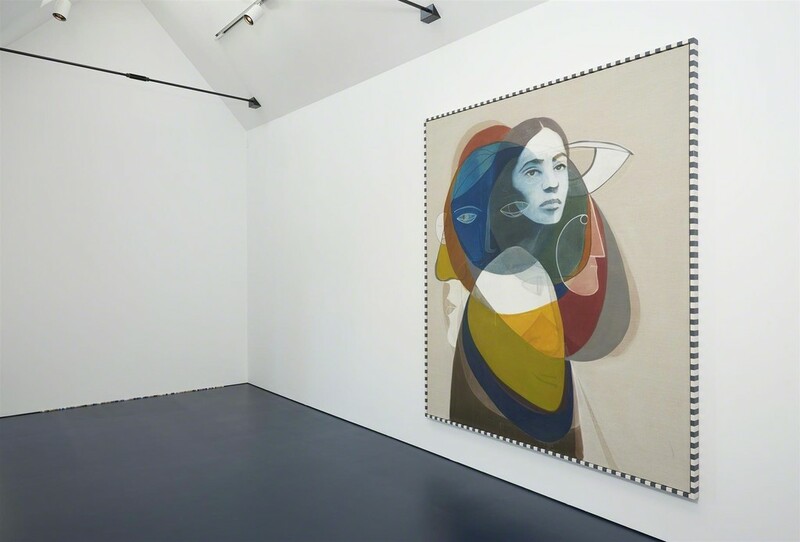 The canvas depicts two abstracted faces that shift in and out of each other as well as several other floating, indistinct forms, creating a set of undefined but clear associations within the surface plane. In another instance, Bitzer writes, “Everyone here knew her since her childhood. With one or the other she may have had an episode. Passed and gone. In fact, there is a veil of images obscuring her image, a burden of memories, which hinders me from seeing her…” This sensation is further embodied in the three-panel multi-media collage, Three (2018), in which a woman’s portrait is obscured by swaths of paint in a range of blue hues. 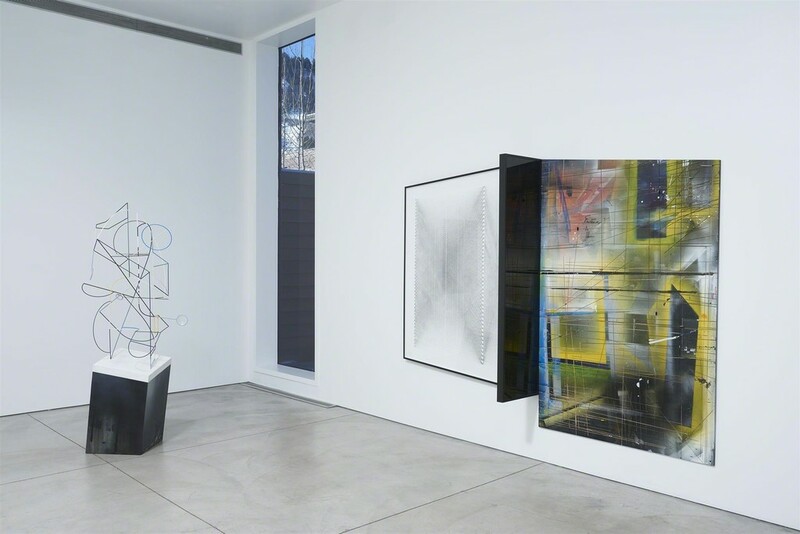 In each of the new artworks, these complicated and intricate relationships between figure, abstraction, and narrative are experienced as tangles of geometric forms and color blocks created in both two and three dimensions. Bitzer’s works allow for a reconsideration of the ways in which stories can be experienced visually and in single and multiple dimensions. Taken together, the exhibition highlights the continuum of formal and conceptual threads that have and continue to preoccupy the artist and underscores his vision for eroding the boundaries between the literary and artistic disciplines. 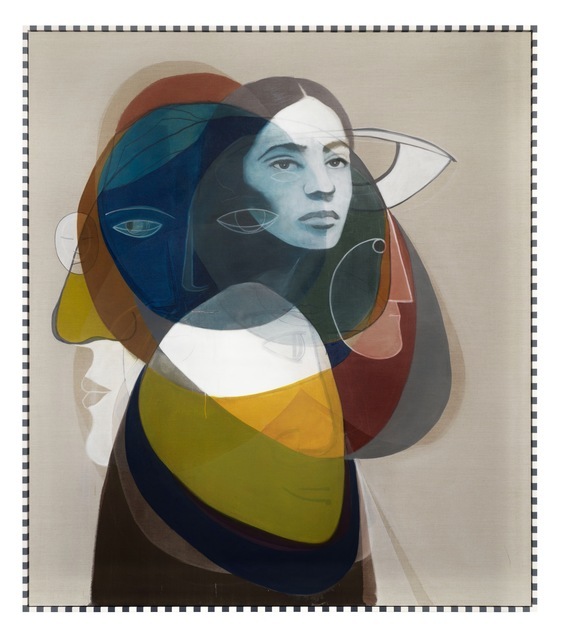 Matthias Bitzer was born in Stuttgart, Germany in 1975. He graduated from the Staatliche Akademie der Bildenden Künste, Karlsruhe, Germany in 2004. 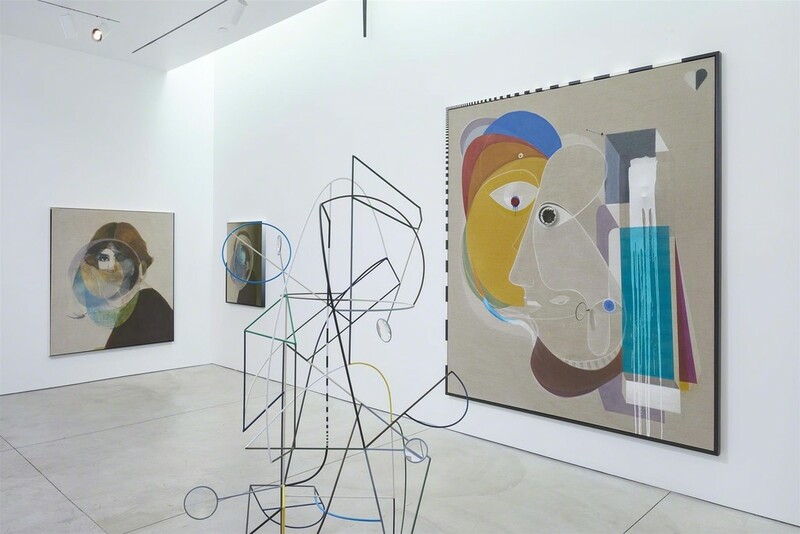 Since his first solo exhibition at Galerie Iris Kadel, Karlsruhe in 2004, Bitzer’s work has been included in a number of international exhibitions at venues including the Kunsthalle Krems, Austria (2009) the Rosenblum Collection, Paris (2011); the Palais de Tokyo, Paris (2012); Palazzo Mongio dell’Elefante della Torre, Galatina, Italy (2015); and Carnegie Art Museum, Oxnard, California (2018), among others. Bitzer received the Nordhorn City Art Prize in 2007 and the Otto Dix Award, Gera, Germany in 2010. 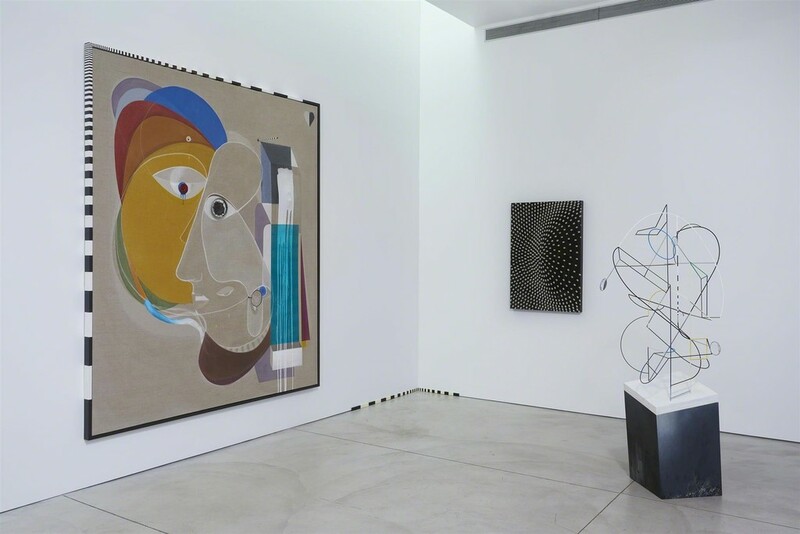 Bitzer’s first exhibition at Marianne Boesky Gallery, titled Saturnine Swing took place at both the Uptown and Chelsea locations in spring 2014. Bitzer currently lives and works in Berlin. 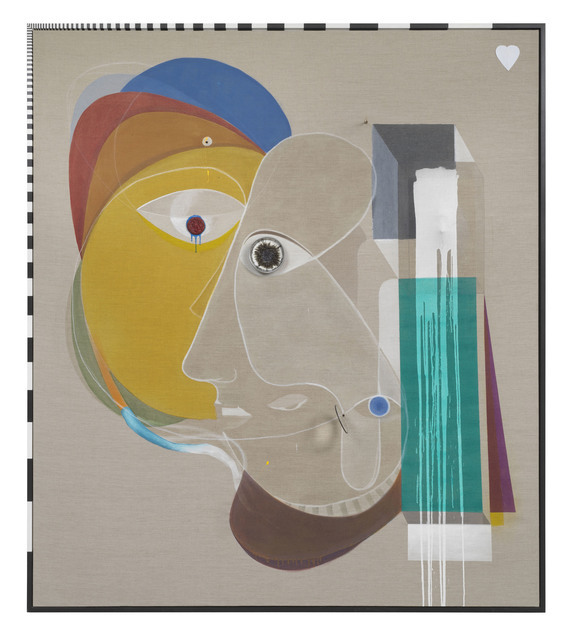 For general information about Matthias Bitzer, please contact Gallery Director Kelly Woods at [email protected] or 212.680.9889. For press inquiries, please contact Alina Sumajin, PAVE Communications and Consulting, at [email protected] or 646.369.2050.